When will be My Fishing Place next episode air date? Is My Fishing Place renewed or cancelled? Where to countdown My Fishing Place air dates? Is My Fishing Place worth watching? Catch up with Dazza, Kezza and Big Red as they head off on fishing adventures around the country, and tell lots of tall stories in the studio! My Fishing Place was born out of a cracking trip to the Top End, when the boys bought along a good friend who was very handy behind the camera! On their return, they found they had some brilliant footage, and wanted to share it with everyone. As they loved just sitting down sharing fishing stories, they decided to set up a studio in Big Red's shed and combine the footage with some conversation - and My Fishing Place was born! Dazza is on a solo mission and heads out to the Coral sea in pursuit of the mighty GT! Spectacular fishing action from the boat and beach in this episode! The My Fishing Place boys Dazza, Kezza and Big Red head down to Northern New South Wales to chase the great Australian freshwater sportfish, the mighty Murray Cod. After a trip up north is cancelled, the My Fishing Place boys, Dazza, Kezza and Big Red head back to Northern New South Wales and final catch themselves some decent Murray Cod! The My Fishing Place boys, Dazza, Kezza and Big Red head north again to the beautiful Mini Mini system and catch themselves some seriously angry Barramundi and several other prime target species. 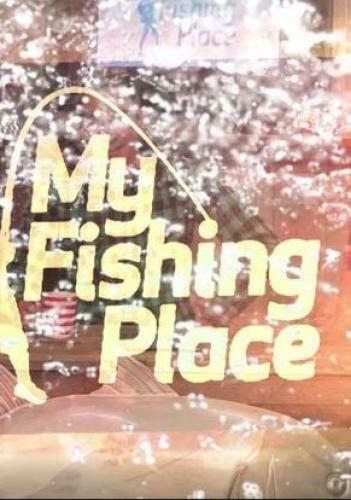 My Fishing Place next episode air date provides TVMaze for you. EpisoDate.com is your TV show guide to Countdown My Fishing Place Episode Air Dates and to stay in touch with My Fishing Place next episode Air Date and your others favorite TV Shows. Add the shows you like to a "Watchlist" and let the site take it from there.